Both were surprised not to have chances to start pro careers last year, but both added to their credentials. Blake McDade, former Ooltewah High School baseball player now at Middle Tennessee State awaits the baseball draft. For the better part of a year, Blake McDade and Ryan Casteel have wondered what went wrong and why last June. They were overlooked for 50-plus rounds by all 30 clubs during the annual Major League Baseball draft, and each is hoping for better when the 2010 draft resumes at noon today in Secaucus, N.J., with rounds 2-30. The final 20 rounds will begin at noon on Wednesday. "The draft was on my mind a lot last season, and if I slumped a little I put a lot of pressure on myself," said McDade, the former Ooltewah standout who just completed his career at Middle Tennessee State. "This season I hit a mini-slump and just got in the cage and worked my way out of it." McDade could play first base or the outfield as a professional player. Casteel was a hot-shot catching prospect at Bradley Central High School last spring. He had signed with Tennessee and was projected by some to go in the draft's first 10 rounds. He didn't, wound up rejecting the UT scholarship and signed instead with Cleveland State, where he was a second-team all-conference pick after hitting .353 with 14 home runs and 58 RBIs. "Last year I asked for too much money," he said. "This year I think I'm signable. I have prepared for the worst. If I get drafted I'll be excited, and I'm hearing good things, but I'm definitely trying to stay even keel. If it comes it comes, and if not I'll be at Cleveland State next year." Casteel was coming off surgery in the fall of 2009 to repair a broken hamate bone but still had a stellar senior season. "There were a lot of teams that were unsure about his hand, and I think that was one big reason he didn't get drafted," Bradley coach Travis Adams said. McDade has talked most with the Royals and Tigers, while teams showing the most interest in Casteel have been the Blue Jays, Cardinals, Royals and Rays. Area standouts with their first shots at the draft include Bradley Central right-handed pitcher Cole Brand and shortstop Hyde Mott and first baseman Jordan Poole from Calhoun. All three have signed college scholarships -- Brand with Clemson, Mott with Georgia Tech and Poole with Ole Miss. "I can't wait. (Getting drafted) is one of those things you hope happens," said Brand, who is projected to go in the first 10 rounds because of a fastball that touched 94 and 95 mph on different scouts' radar guns last month. 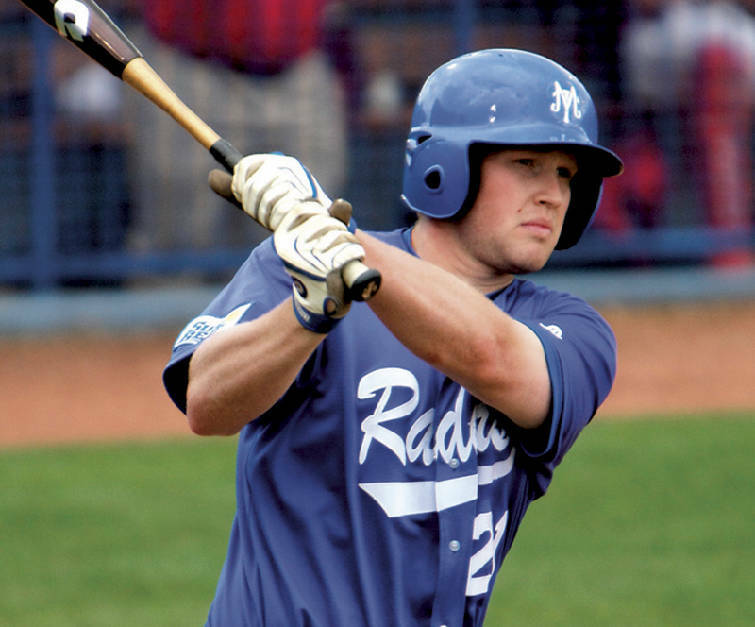 Other players in the area hoping their phones will ring today or Wednesday include former Gordon Central player Cody Hooper, the Cleveland State first baseman who was selected the Tennessee Community College Athletic Association player of the year. Hooper hit .424 with 15 home runs and 60 RBIs. A Shorter College signee initially, the 6-foot-3, 220-pound Hooper has drawn the most interest from the Royals, Nationals and Chicago Cubs. "Cody is really athletic and he runs really well," Cleveland State coach Mike Policastro said. NAIA runner-up Lee University has four probable draft picks: right-handed pitchers Scott Swinson, Aaron Everett and Nolan Rudman and shortstop Jose Cuevas. "Rudman had the scouts buzzing at our scout day in the fall, and they were thinking he could sneak into the top 15," Lee coach Mark Brew said. "At 6-3 and 190 he has a pro body, and while he didn't have a great season it's certain the ability is there." Everett, a fifth-year senior and former starter at Tennessee, could have signed a free-agent contract before the draft. "A lot of guys have seen him and liked him," Brew said. The Flames also have a pair of dark horse candidates in corner infielder Tanner Moore and outfielder JJ Constantino. "Tanner had a great year," Brew said. "I wish somebody would give him a chance. He doesn't have that prototypical pro body, but he just set the school season record for homers (22). A lot of times scouts don't make their decision on what the kids do but what the scouts think they can do down the road."